Harry Potter fans, raise your hands! If you are one (we’ll get along really well), and you’ve read, devoured, repeated all seven books and wondered—as I did—how butterbeer would taste like, then you have probably also heard of Up in the Clouds Ice Cream: that store from Hogsmeade Mercato that sells butterbeer ice cream. Their rendition is made of caramel butterscotch—creamy and velvety—then speckled with bits of toffee. A tad too sweet for those who are not big on sugar, but really, if you’re Potter-obsessed, you just don’t care. with minor editing by Pepe Samson. 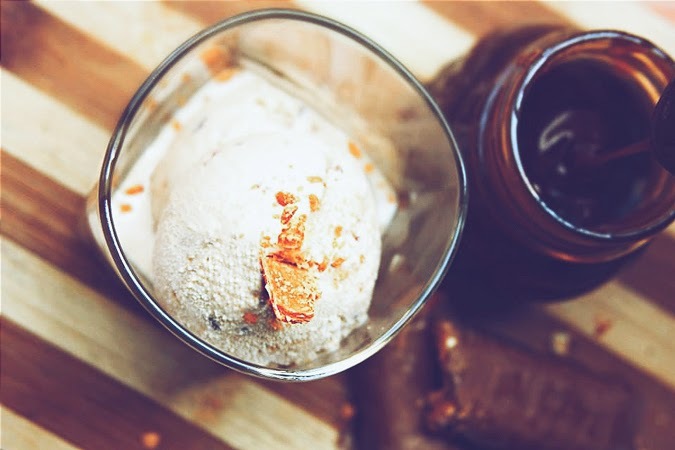 But did you know Mercato isn’t the only place where you can get this ice cream flavor? 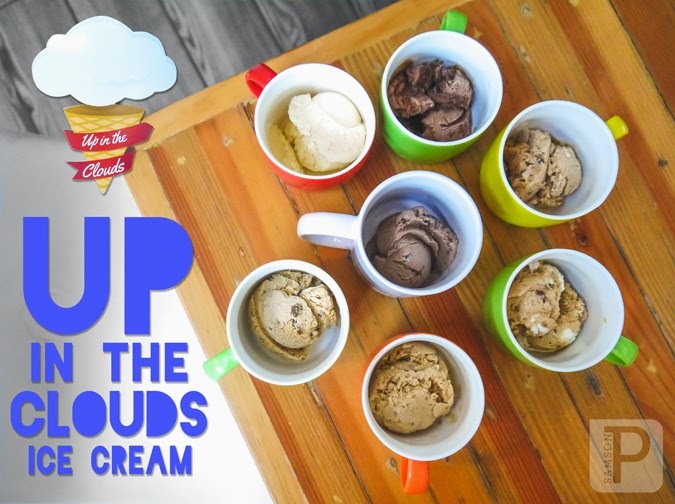 Up in the Clouds Ice Cream is for sale at Main Street in McKinley Hill—in fact, it’s been there ever since the restaurant opened in 2013. 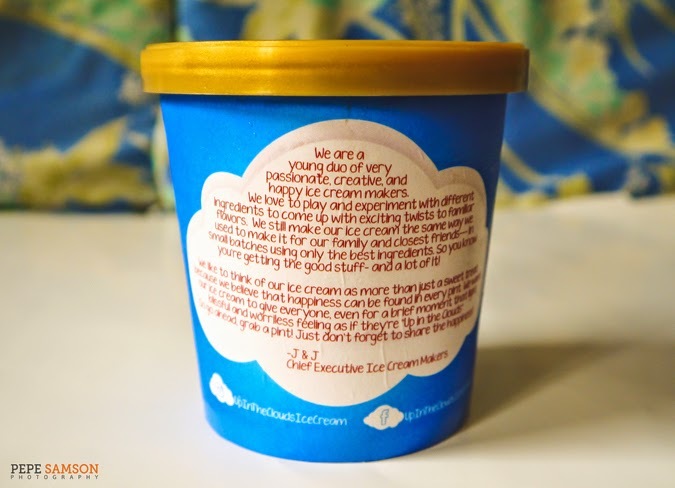 When Jonathan and Jessica—a couple with a huge passion for food—joined The Next Big Food Entrepreneur contest, they chose to name their artisanal ice cream “Up in the Clouds” because basically, that’s how you feel when you eat it. 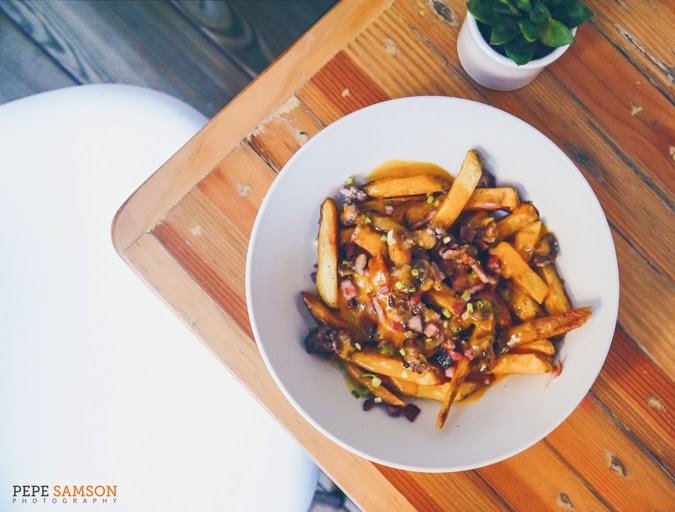 Cheesy as it may sound, you have to try it and see for yourself. Being a Main Street fan who dines there at least thrice a week month, I’ve tried four of the old ice cream flavors. Their ice cream is consistently good, with nice texture and creaminess and a sweetness that isn’t cloying. You can definitely tell each scoop, each cup was lovingly made. 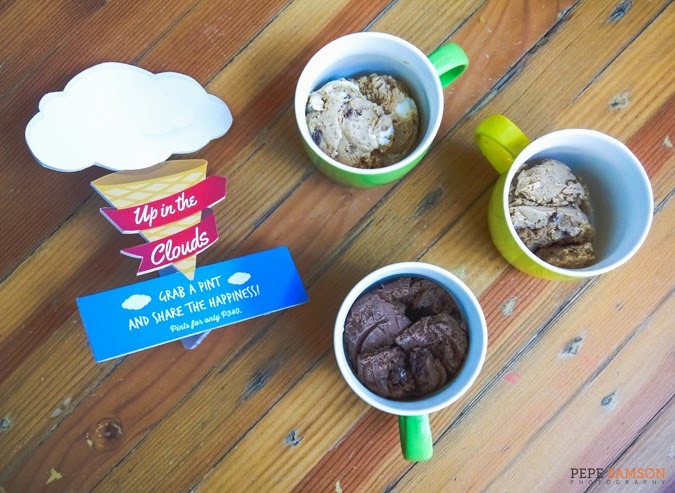 Now, just in time for summer, Up in the Clouds has released 3 new exciting flavors! Cereal Muncher is milk ice cream with Honey Stars cereal. Me Lychee is blended fruit: a refreshing, addictive flavor that is not too sweet and far from artificial—me likey very much! 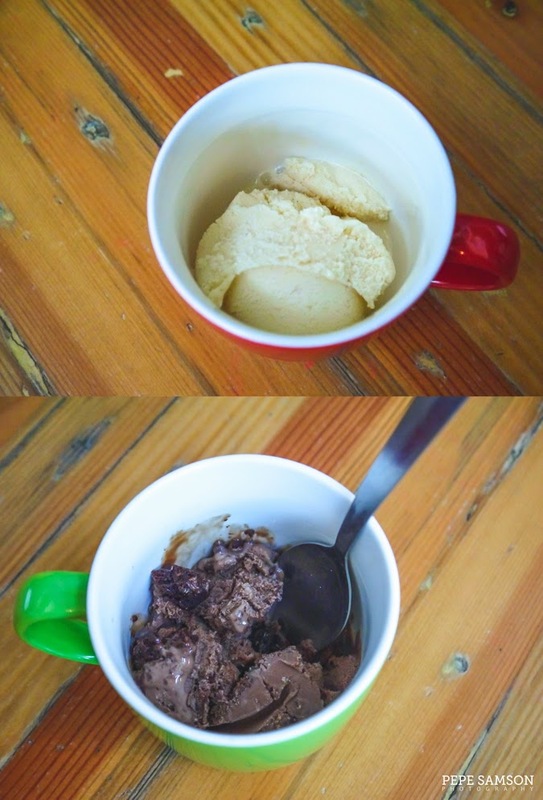 But my favorite is the Choco Rocky Mountain: milk chocolate ice cream with chunks of homemade dark chocolate brownies. I wish the brownies themselves are for sale—they’re so delicious! Sorry lychee fans. But for me, this is the winner! 2. Milk & Cookies – made of crumbled cookies and cookie dough—again homemade. The cookie bits are so damn good! 3. Maple & Candied Bacon – because I like weird flavors. This is maple ice cream with chewy candied bacon bits. 4. Campfire S’mores – chunky cinnamon graham ice cream with chocolate bits and fluffy marshmallows. 5. Choco Malted Milk – chocolate malt ice cream with Maltesers. It's weird because I looooove Maltesers, but somehow, not much in ice cream. 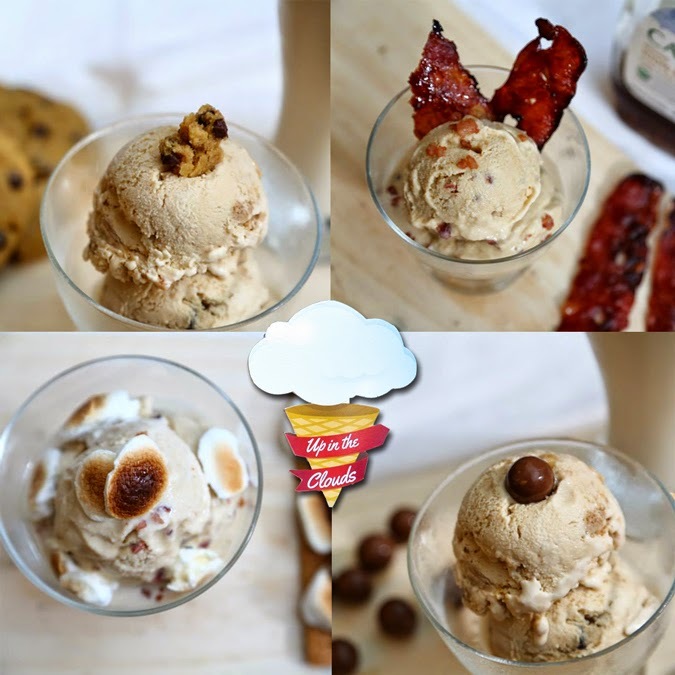 Clockwise from top: Milk & Cookies, Maple & Bacon, Choco Malted Milk, Campfire S'mores. 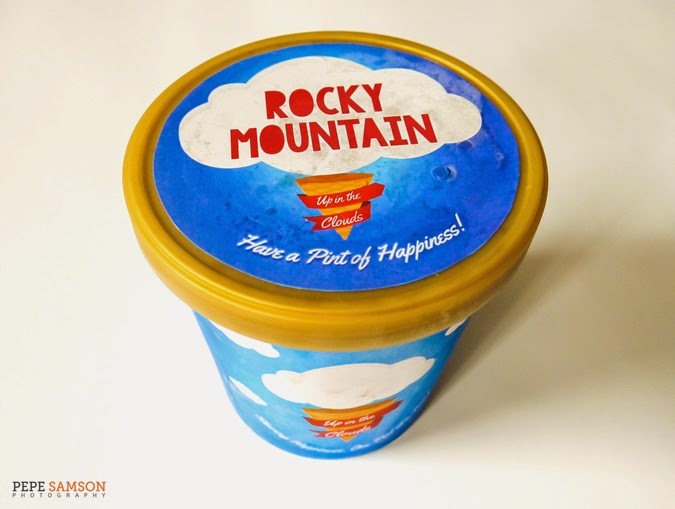 Aside from introducing new flavors, the couple has also decided to sell it by the pint in Main Street! 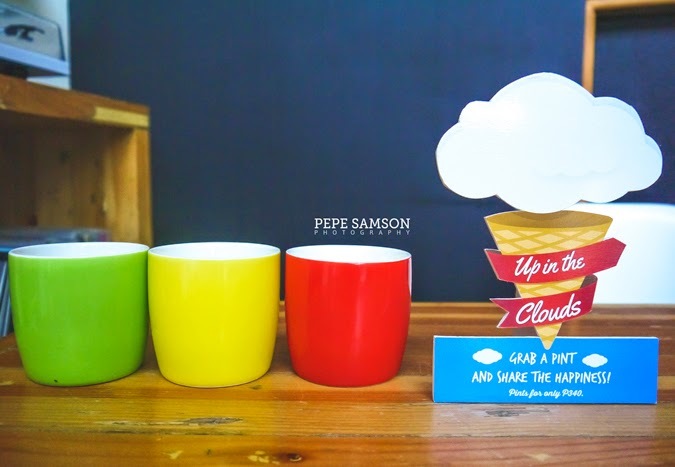 This is awesome news for Up in the Clouds fans, as well as for ice cream lovers who just can’t enough of just one cup. 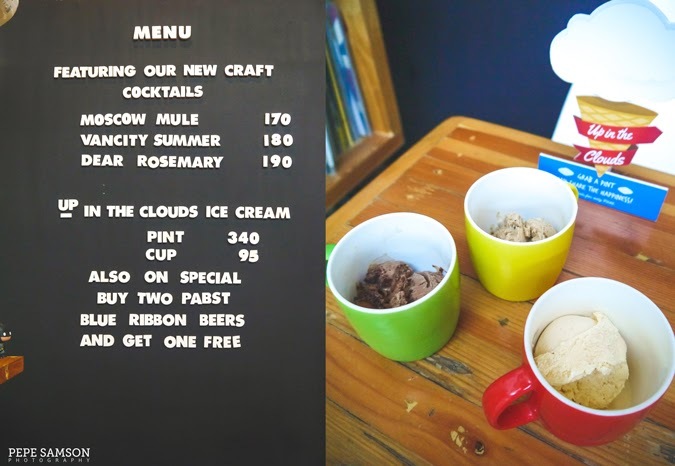 Now you can take home a pint of your favorite flavor (PhP350 each) to share among your friends, workmates and families! They also deliver to selected areas within Metro Manila (inquire: 0922.806.6412). 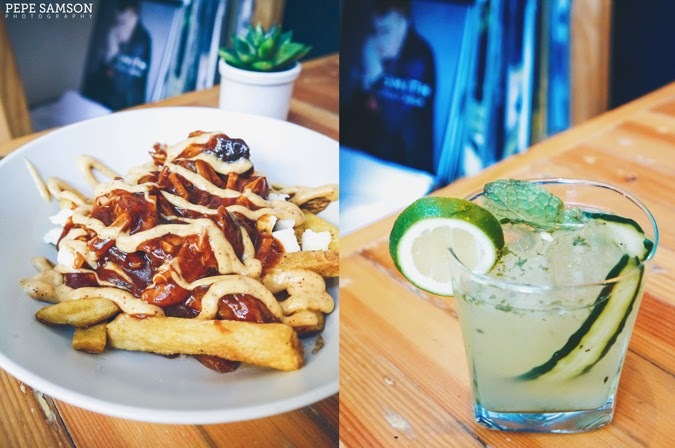 Left: Pulled Pork Poutine. 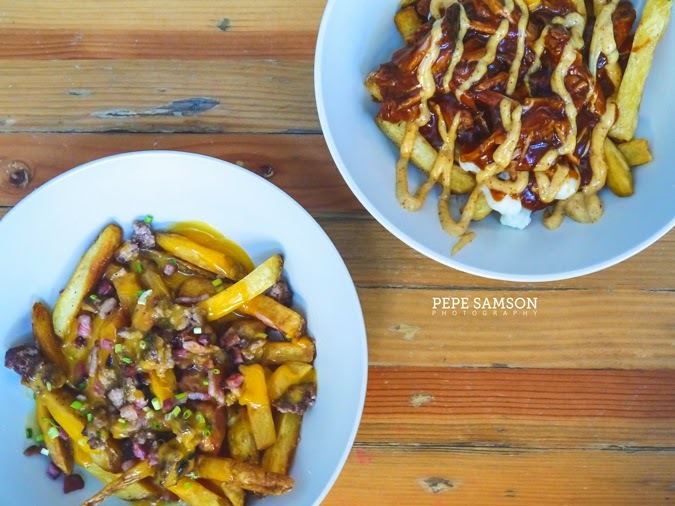 Instead of gravy, they used the Grilled Pork Chop's signature BBQ sauce. Double f*ck! Good ice cream, for me, is hard to come by. Believe me, I barely get past three spoonfuls of those grocery-bought local brands. It's nice to know that a locally-made product like this is now out there—something that could compete with my other favorites: Mad Mark's and Milky Way Restaurant's. Now if you'll excuse me, I need to polish a pint of chunky, brownie-loaded ice cream. 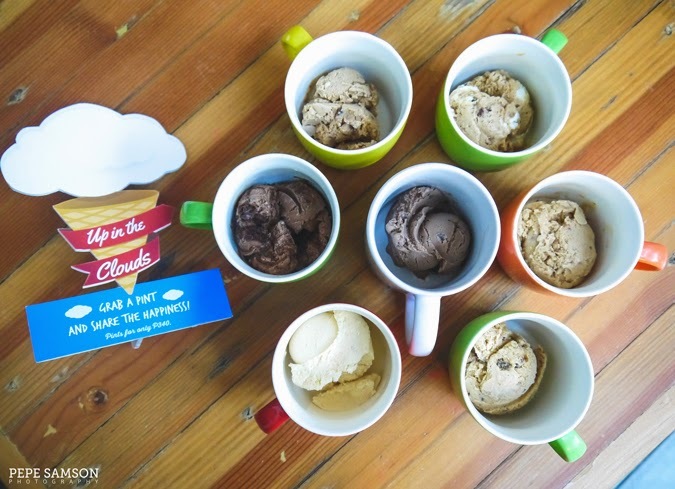 What's your favorite Up in the Clouds Ice Cream flavor? My meal was sponsored by Main Street and Up in the Clouds Ice Cream. All opinions, however, are my own.